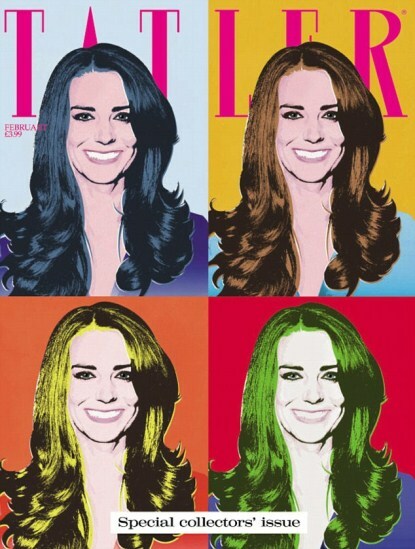 Prince William’s future wife Kate Middleton, 28, graces the cover of February 2011 Tattler. The cover is similar to Andy Warhol’s 1962 screen prints of actress Marilyn Monroe. Kate did not pose for the cover it was taken from one of the pictures taken after her engagement to Prince Williams was announced. Kate did not do the interview in the magazine either. The cover celebrates the couple’s engagement. They are scheduled to marry at Westminster Abbey on April 29.